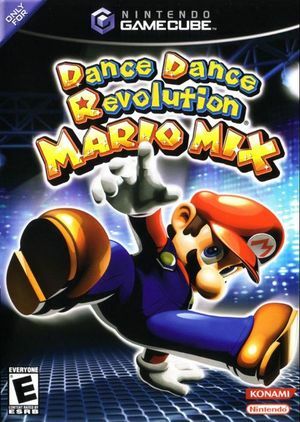 Dance Dance Revolution: Mario Mix, known as Dancing Stage Mario Mix in Europe and Dance Dance Revolution with Mario in Japan, is a 2005 music video game by Nintendo and Konami for the Nintendo GameCube, and is the first Dance Dance Revolution game to be released on a Nintendo console outside of Japan. The game features several of Nintendo's popular characters, including Mario, Luigi, Toad, Toadette, Waluigi, Wario, and Bowser. 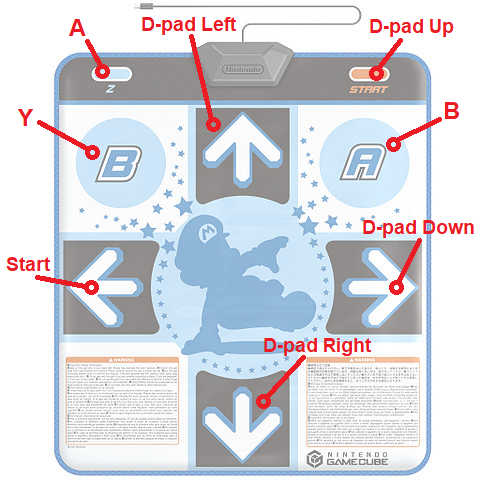 The game is bundled with the dance pad controller. Here is a graph to help visualize the button output. The Widescreen Hack has HUD scaling issues that can be fixed with a Gecko Code. The graph below charts the compatibility with Dance Dance Revolution: Mario Mix since Dolphin's 2.0 release, listing revisions only where a compatibility change occurred. This page was last edited on 3 August 2018, at 08:08.